By 3 p.m., poll workers at the Fairview Volunteer Fire Department serving Ross Township just north of Pittsburgh reported they'd already doubled its previous record for voter turnout. Polls remain open in Pennsylvania through 8 p.m. Tuesday, Nov. 6, 2018. Ensuring Pittsburgh's African Americans enjoy economic self-reliance, parity, power and civil rights has been at the forefront of the Urban League of Greater Pittsburgh for 100 years. Esther Bush, president of the Urban League of Greater Pittsburgh, rests outside the WESA studios on Tuesday, Nov. 6, 2018. 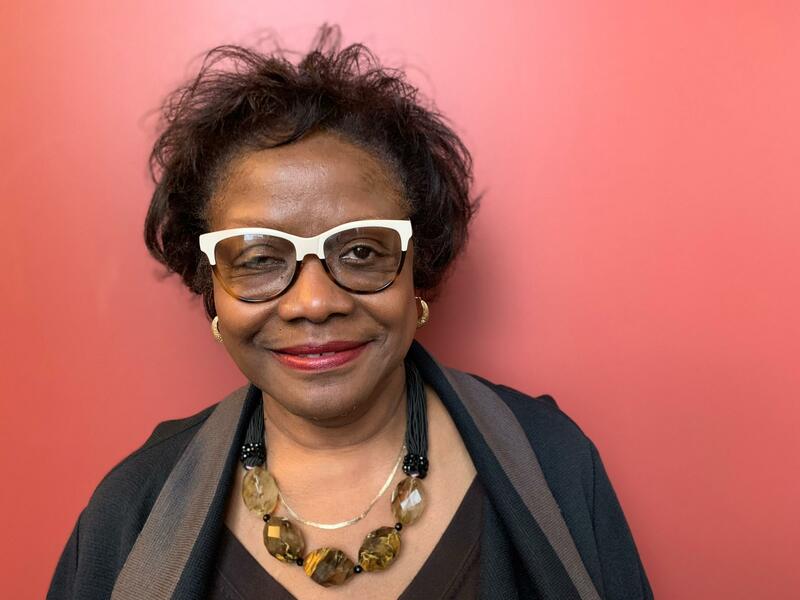 Esther Bush, its president for nearly one-fourth of the Urban League's tenure, says the landscape of black Pittsburgh has evolved since she took the reins in 1994. The organization provides educational opportunities and pushes policy that might encourage black hiring, including on the executive level -- both huge economic roadblocks, Bush says, in creating a truly liveable city for all. "There is always room for improvement," Bush says. "So while I am not pleased at all where we are, I can see inches of progress that all of us must continue to push. Being black in Pittsburgh is still a problem, as it is nationally." Later in the program, Navajo speakers are working with Pittsburgh-based language-learning platform Duolingo to preserve a critical part of their culture. WESA’s Sarah Schneider explains how what's being done to save one of the oldest languages in North America. Follow along with WESA's live blog throughout the evening or listen live at 90.5 FM. Education is one of the top issues for many voters heading into Election Day on Tuesday. The Allegheny Intermediate Unit plays a conduit role in making sure public school students in the region receive a quality education by working with 42 districts and multiple special needs centers. Stephanie Butnick had only been to Pittsburgh once, briefly for a wedding, before she was assigned to cover the mass shooting at the Tree of Life Synagogue in Squirrel Hill. The Pittsburgh Tech Report for November 6, 2018. When the Pittsburgh Cultural Trust announced it would bring the smash hit musical "Hamilton" to the Benedum Center, leadership knew they were in for the biggest sale in their history. But they also knew that Hamilton tickets were among the most lucrative for scalpers: according to the New York Times, resale prices for Hamilton tickets can climb up to $10,090.